Christmas is almost here and I'm feeling rather festive! This time next week, we will all be tucking into our monster-sized Christmas dinners complete with all the trimmings and washing it down with copious amounts of mulled wine. Nomnomnom! Then, as if we haven't had enough food already, there will be Christmas Pudding, more mulled wine, mince pies, chocolates, even more mulled wine, gingerbread men, cheese, biscuits and savoury snacks before we curl up on the sofa and fall into a heavenly food coma. 'Tis the season for overindulgence. We're all guilty of overdoing it at Christmas and the endless eating, drinking and being merry can leave us feeling tired, sluggish and sloth-like. So, in preparation for the Big Day (because let's face it, I'm going to be eating everything), I'm filling up on delicious and nutritious smoothies to give my body the love and care it needs to survive the Christmas celebrations. Every girl knows the importance of a good skin care regime for beautiful, youthful, healthy skin and finding the right products for your skin type is crucial. 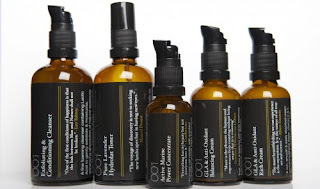 Luxury British brand 001, inspired by Asian philosophy, combines high-quality natural botanics and science to create formulas that protect skin against the constant attack of the elements and negative effects of daily life. Created by Ada Ooi, a trained aromatherapist and beauty therapist, 001 uses the principles of traditional apothecary to help to restore skin to its natural, healthy state and prolong ageing, using innovative hybrid methods. I was kindly given the opportunity to try out two of the products from the 001 Classic Collection, which is an ideal range for a highly-effective daily skin regime. Darkness is taking over more than just the days this season, it has well and truly taken hold of fashion too. The enigmatic Victoriana trend is offering a 21st century take on gothic style and I am in love. Here's a selection of my favourite pieces from the high street to entice your inner vamp! If you're aiming for less vampire and more vintage, powder pink and stone pieces make for a feminine alternative to gothic Victoriana. In the fast-paced world that we live in, it's more important than ever to slow down and make time for yourself. So, my boyfriend and I left the hustle and bustle of London recently to head to the West Country, in search of the perfect place to escape for a relaxing weekend away. 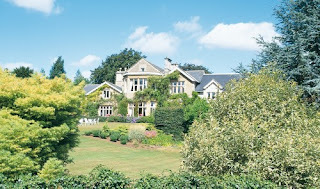 Situated in the idyllic Bath countryside and a short drive from Bath City Centre, Homewood Park Hotel is a beautiful, welcoming Georgian country house with a spa surrounded by acres of award-winning gardens, boasting an attractive and peaceful sanctuary for guests. Arriving slightly later than anticipated and stressed from motorway traffic, we strolled up the charming driveway - instantly feeling comforted by the country air. We entered the characteristic hallway and were greeted by a lovely receptionist, who gave us information about our stay and showed us to our room. The main house's interior is elegant and chic, but remains true to its heritage with fanciful flourishes of character. There's nothing that makes us more happy than the Season of Shimmer! Sequins, glitter and iridescent beauty products are out in force once again and I cannot contain my excitement. So, to give your wardrobe an extra-luminous touch without veering into disco ball territory, here are a few of the chicest metallic makeup must-haves that will provide a seamless transition from desk to dance floor. Packaged as a fun, zebra-print jumbo pencil, the deep, magnetic colours outline and transform the eyes with a single stroke. Khaki, Steel and Lagoon are the perfect Autumn/Winter shades as they offer dramatic colour with a subtle shimmer. Smudge-proof and durable, the gliding, waterproof texture allows an ultra-easy application and a flawless hold all day long. 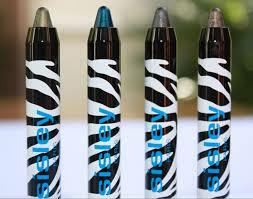 Use it as an all-over base for a more intense effect or as an eyeliner. Now, we are well aware of the internal health benefits of super foods but what can they do for our external health, applied directly to our skin? 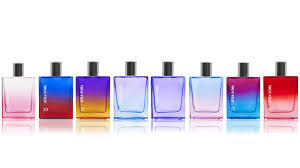 Formulated in Australia, Sukin is a natural beauty brand offering a range of luxurious yet affordable products crafted using ingredients that are the best nature has to offer. 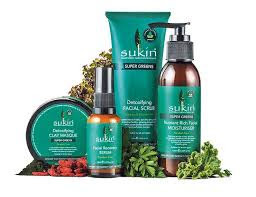 New for Autumn 2015, Sukin’s Super Greens range consists of 4 face products – a Detoxifying Clay Masque, a Detoxifying Facial Scrub, a Facial Recovery Serum and a Nutrient Rich Facial Moisturiser. Heralded for their plethora of benefits, super foods are finding their way into every day diets and now into skincare. Sukin’s Super Greens range features handpicked actives - kale, spirulina, parsley, chlorella, acai, avocado and goji, and is designed to brighten, plump and boost the health of your skin in the best way possible, promoting a healthy glow and a clean, radiant complexion. 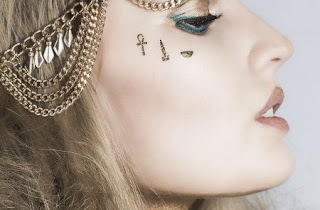 Eye of Horus' award-winning Baked Goddess Eyeshadow Palettes awaken your inner Goddess and allow you to make a statement with eyes that entice. With warm bronzy hues, as well as cool, icy shades, these four palettes are the perfect accessory for your Autumn / Winter wardrobe. Rich in essential oils and natural waxes, the eyeshadows come in striking shades with smudge-proof staying power. Based on ancient Egyptian formulas using ingredients such as Moringa Oil, each palette ensures a fabulous finish whilst simultaneously caring for the skin. With the ability to be used both wet and dry, there is no end to the looks you can create with these decadent velvety shades. Butterfly Twists - Saving Our Soles! I love nothing more than to strut around in a fabulous pair of heels but sometimes, I need to give my delicate lady feet a bit of respite. (I hear impromptu gasps of shock)! Worry not, ladies - I'm not telling you to reserve your fashionable footwear for weekends only and reach for the ugly, clunky flats (unless you're channeling your inner ugly-chic). I've have found a solution that will save your soles without compromising your impeccable style! Butterfly Twists are some of the highest quality, comfortable and stylish flats on the market – each shoe is made with a buttery-soft memory foam insole to cushion the foot. The brand is on a mission to prove that, when it comes to women’s shoes, comfort and style don’t have to be mutually exclusive. Fashion does not have to be a punishment (unless you want it to be, then that is a different matter). 4am: Wake up at ridiculous o’clock, it will not matter that you’ve only had 3hours sleep (that’s what a good concealer – and coffee - is for!). You will need to spend time planning your outfit. What will it be? 8am: Arrive at the office. Expect them to get your name wrong, and don’t get angry. Nobody likes a bitchy intern and Sophie’s a nice name, isn’t it? So it doesn’t really matter that your parents call you Stephanie, you now have an enigmatic alter-ego.